Located on the far north end of Halifax, a port city in Canada’s eastern state of Nova Scotia, Halifax Stanfield International Airport makes getting to the lush outskirts and wilderness easy to reach, though the city can be a bit tough if you don’t have a solid ride. Book a private sedan, SUV, van, or bus to get around at a pace that best suits your schedule, or consider a meet-and-greet service that offers the added convenience of simple drop-offs, whether it’s the simplicity of a taxi or the luxury of a stretched limousine. Find other destinations that offer GO Airport Shuttle or search for other transportation providers at Halifax (YHZ) airport. The public transit system is perfect for commuters and shoppers. Transfers are good for 90 minutes without paying an additional fare. Without any sort of light rail or train system set in place, ground transportation at YHZ Airport is limited to a Metro Express route (320) that drops off to downtown as well as a few pre-paid taxis and car rental services in the main terminal. You can also get through the area with the help of a shuttle, booking through either local shuttle companies or area sedan providers for custom drop-offs and pick-ups to your hotel, not to mention luggage handling that makes kicking back a breeze. Start off your time in Halifax by hiring a shared ride van. Easily tour through the city or make some selected stops like the Halifax Public Gardens or the city’s Central Library. Book a shared ride van to take get there in a way that’s comfy and affordable, enjoying one-time lifts to all-in-one locations ranging from the scenic simplicity of Best Western Plus Chocolate Lake Hotel to the upscale ambiance at the historic Prince George Hotel, all at the ease of contacting area ground transportation providers. Hire a private van for you and your friends and family and easily tour to highly recommended places such as the Halifax Citadel National Historic Site of Canada or one of the local food tours. Move up to a dozen passengers with the ease of a private van by looking forward to super-sized destinations big enough for everyone to have fun, whether it’s the expansive 19th-century gazebos and Victorian-era accents of Halifax Public Gardens, or group trips to the waterside excitement of Casino Nova Scotia. Order a private sedan for you and a guest, and allow yourself to be in control of the journey and destination. Check out sights like the Waterfront Boardwalk or enjoy a private city tour. Small cars in search of something more should get there with a private sedan from area sedan companies, crossing the Macdonald Bridge toward Dartmouth with all the time in the world, or taking a long drive east on the 107 for sporadic views of lakes, rivers, and ponds scattered across dozens of rural towns. Get a local personal driver to add an insider’s perspective to your trip and see the Habour Ferry, the Neptune Theater, and other locally popular sights. A good indicator of authentic times is whether the natives are around you. Follow the region’s vibe by getting a local personal driver to show you around, discovering hidden oases along the shore while dining in at some of the best late-night eateries after the day’s done, all by knowing what you truly desire. All around Halifax are great nature spots, where you can go hiking, fishing, and rafting. Book a private SUV so you and your crew can explore and exercise outside with ease. The perfect lift for carrying up to six passengers, private SUVs make family vacations on the watery peninsula fun. Arrive to the best family-friendly destinations with all the freedom you need, stopping by Point Pleasant Park for morning strolls by the water while looking forward to slides and ferris wheel views at Atlantic Splash Adventure. Need reliable ground transportation? Check out one of our taxi services, available to pick you up or drop you off at Halifax’s airport. A city filled with a bustling business district that includes the Halifax World Trade Centre, Nova Centre, and Halifax Convention Centre within two blocks of each other, a taxi can be the best route for important events on Barrington Street. Also great for catching early flights and late-night dinners, you’ll be glad you got a lift that can move through the chaos 24 hours a day. Want to go around in style? Order a limo service for a few hours and experience the city at your leisure. Go with family, friends, or your special loved one and enjoy the evening sights such as Shakespeare by the Sea attraction. See the city’s upscale side with a ride that makes everything shine, reserving a stretched limousine from local limo providers for grand arrivals to the elegant east coast cuisine of Stories Fine Dining, afterward finding inspiration at the incredible shows within Neptune Theatre, a pillar of downtown since 1915. Want to charter a bus for a special retreat or group tour? No problem! We have buses available to shuttle you around the city, displaying all the sights Halifax has to offer. If you’re traveling to the area with over a dozen passengers, reserve a chartered bus for an easy tour at your own leisure, whether you’re looking to make it toward the massive boats and artifacts at the Maritime Museum of the Atlantic or interested in exploring old hilltop forts within the Halifax Citadel National Historic Site. A modern single-terminal facility, YHZ Airport is a grand facility with a well-organized layout easy to understand for first-timers. - Level 1: arrivals, check-in, information desk, Airport Square (food court and shopping mall), ATMs, indoor pond, currency exchange, post office, security, customs, baggage claim, and escalator/elevator access to upper levels. - Level 2: departures, children’s play area, interfaith chapel, shops, restaurants, massages, hotel, and escalator/elevator access to lower level. - Level 3: observation deck looking out at the runway and quiet lounge area (ideal for naps), plus elevator access to lower levels. Halifax airport in Nova Scotia is one of the busiest airports in the world. 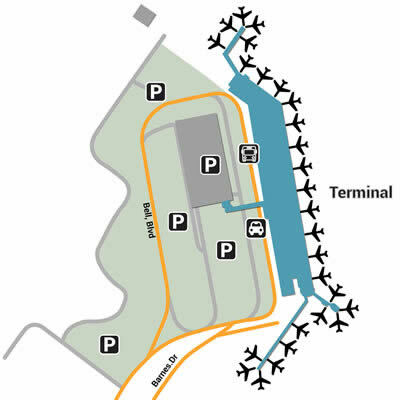 Make the most of your time here by using our terminal map to find your way around. YHZ will be the easiest part of your trip! Robert L. Stanfield (Halifax) International Airport abbreviated YHZ is located in Enfield a neighborhood in Halifax, Nova Scotia, Canada. The airport gets its name from the 17 Premier of Nova Scotia, Robert Stanfield and it ranks 7th busiest in all of Canada. With over 20 miles (33 km) to trek through, the distance between Halifax Airport and the the unique fisherman’s paradise waiting downtown can be a daunting adventure, though something to look forward to if you’ve got nothing but time on your hands. Enjoy scenic homes and towering forests in the rural outskirts with a shuttle to help with the view, booking through either local sedan companies or area shuttle van providers for competitive rates and guaranteed comfort. Before you get dropped off, get to know the beauty of the region by considering each neighborhood, from the central museums, historic churches, and art galleries in South End, a popular peninsula with all the city’s most popular landmarks, to downtown Dartmouth across Macdonald Bridge, home to quaint waterside cafés and relaxing views of departures from Ferry Terminal Park. A good balance between busy and quiet can be found in North End, a suburban area away from downtown’s buzz and closer to the shores of Bedford Basin, while the even quieter Armdale provides countless hours of parkland to walk through. Keep your eye on the ball to ensure nothing passes you, starting with your shuttle reservations. Print out your confirmation out to have all logistics on paper, from pick-up time to drop-off location, doing the same with hotel and event bookings, from tickets to Neptune Theatre to views of the bay at Harbour Hopper Tours. Another useful way to keep everything together is by keeping a travel journal on your person, enjoying the ease of hidden compartments and sleeves for important documents all in one place. With about half an hour’s rural journey between the airport and the city, getting from point A to point B can be difficult with traffic, the elements, and everything in between. Make the trip short by booking a nearby airport hotel instead, choosing between the on-site wonder of Alt Hotel Halifax Airport and other nearby options along Veterans Memorial Highway, which include Quality Inn, Hilton Garden Inn, and Holiday Inn Express & Suites, all of which offer business-friendly perks like free airport shuttles and indoor pools & hot tubs. Enjoy all the on-site goodies while you wait for your flight, looking forward to the ease of unique restaurants that include drinks and seafood at Maritime Ale House, casual sit-down lunches at Fresh Attractions, and specialty drinks from Booster Juice, Tim Hortons, and Starbucks. Shops include nautical-themed souvenirs from Island Beach of Nova Scotia Store, fancy wines at Liquid Assets, and climate-friendly clothing courtesy of The Nova Scotia Store. There are also several duty-free shops and novelty stands after security, a kid’s play room on the upper mezzanine, and a hidden observation deck & lobby on the third floor. Besides being a few minutes from your flight, staying in the far northern terrain of Halifax has its own perks that include world-renown greenery and small town charm. Business travelers looking to network should head to the lawns of Oakfield Golf & Country Club, while those interested in an afternoon hike should head to Oakfield Park, both of which are located on the eastern shores of Shubenacadie Grand Lake. Discover downtown Shubenacadie afterward, home to awesome eats that look out at the narrow bend of Shubenacadie River as well as the historic Tinsmith Shop Museum on Main Street. A gorgeous port city looking out at the North Atlantic Ocean, Halifax is Nova Scotia’s provincial capital, offering stately landmarks and historic forts at the heart of the downtown peninsula. Start your tour of the area at the 18th-century Citadel Hill, a uniquely-shaped fort that looks out at the skyline from an elevated mound, while the nearby Halifax Harbour provides a constant flurry of ferry boats, waterside casinos, and historic properties along the water. An especially important part of the harbour is Pier 21, which historically brought over 1 million immigrants to Canada in the 20th century, not to mention countless museums that include the Art Gallery of Nova Scotia, Argyle Fine Art, and the Maritime Museum of the Atlantic. Find quieter corners of town by venturing to the outskirts, watching a sunset across Margaret’s Bay from Peggy’s Point Lighthouse, home to a famous shoreline with an iconic 1914 red-and-white striped lighthouse, or enjoying the isolated scenery of McNab’s Island, a water-wrapped park with old forts and rocky coves. For an even balance between downtown and nature, head to Point Pleasant Park, located just south of the city and known for its peninsula promenades, paths, and idyllic lawn performances with Shakespeare by the Sea. End the evening at the best eatery in town, stopping by The Bicycle Thief for casual Italian, or delve into the late-night eats and drinks at The Stubborn Goat Gastropub. - Air Canada Maple Leaf Lounge: Located on level 2. Perks include free Wi-Fi, reading material, TVs, snacks, drinks, work stations, printers, copiers, fax machines, and a cell-free zone, plus disability access and flight information monitors. A separate fare is needed to board the long distance busses called MetroLink and MetroX. Getting around by car in Halifax is really simple just be mindful of the one way streets. You have to pay a toll when you cross the Macdonald Bride or old bridge and the MacKay Bridge or new bridge. Some lanes except coins if you need change you can go through a toll booth with a live operator. There are many taxis around; it is advised to call and reserve on rather than hail one down. It can be quite difficult to hail a cab in certain areas especially after last call at the bar or club. It serves more than 3 million passengers each year. Halifax itself has a population close to 400 thousand; the city is divided into 18 planning areas. Originally the area was a British Military Outpost; the harbor was easy to defend and the harbor is the 2nd largest. The Nova Scotia visitor information center is located on the boardwalk, at Sackville Landing at 1655 Lower Water Street. You’ll want to visit Fort George for its daily historical reenactments. You can also visit the museum and the ceremonial garrison. Make sure to go to Pier 21; the Ellis Island of Canada. There’s a modern museum dedicated to Canadian Immigration. Also explore Fort York Redoubt there are lots of tunnels, cliffs, caves, bunkers, cannons, trails, and places to view the harbor. On the boardwalk you can explore all of the historic buildings, ride on Theodore Tugboat, a WWII era Corvette and lots of other entertainment at the waterfront. Take a guided tour on the Harbour Hopper; it will highlight most of the points of interest in the area or a Boat Tour that includes whale watching, deep sea fishing, or a dinner cruise. Rent a canoe to take a trip up the Northwest Arm. It’s a sightseeing adventure you don’t want to miss as you enjoy the mansions that like the water or in Fleming Park you can see the Dingle Tower. Take a period tour of the Alexander Keith Brewery built in 1863. Enjoy singing, dancing, and a bit of history. Go to the Casino Nova Scotia to gamble a little. Port cities are known for serving the freshest seafood and Halifax is no exception. The scallops and the mussels are some of the best in the country and mussels can be really inexpensive. Although seafood is plentiful it’s not priced any cheaper than most seafood restaurants. Get a salad, miso soup, 5 nigiri, and a maki roll for $12 at Suzuki Sushi on the citadel. Have Nachos on Jazz night at the Economy Shoe Shop; although the name doesn’t spell it out the lavishly decorated restaurant is decorated with indoor gardens and chandeliers. Many of the churches and other organizations offer lobster dinners or if you just have a craving for lobster buy from the fishermen who normally sell street side. The Westin overlooks the harbor and offers complimentary shuttles to downtown; this hotel is good if you are planning to splurge a little. Halifax Marriott Harbourfront Hotel is connected to the casino by indoor skyway. It has a spa, restaurant, and views of the harbor. If you need something more economical the Halifax Heritage house hostel starts at $26 for members. They offer WiFi and there is easy access to public transportation.